Palmira Hostel - How to get to the best hostel in town? How to get to the best hostel in town? We are located in a safe embassy neighborhood in a walking distance from almost everything you'll need. Full address: We moved! still in Colonia Palmira but now in 4ta calle Ave. Republica del Peru No. 7, our property is the former Embassy of Ecuador. One block from the United Nations building, next to the park Benito Juarez, behind Espresso Americano. One and a half blocks from the American Embassy. If you take a direct taxi to the hostel cost around 7-8 dollars total. If you take a direct taxi to the hostel cost around 6-7 dollars total. 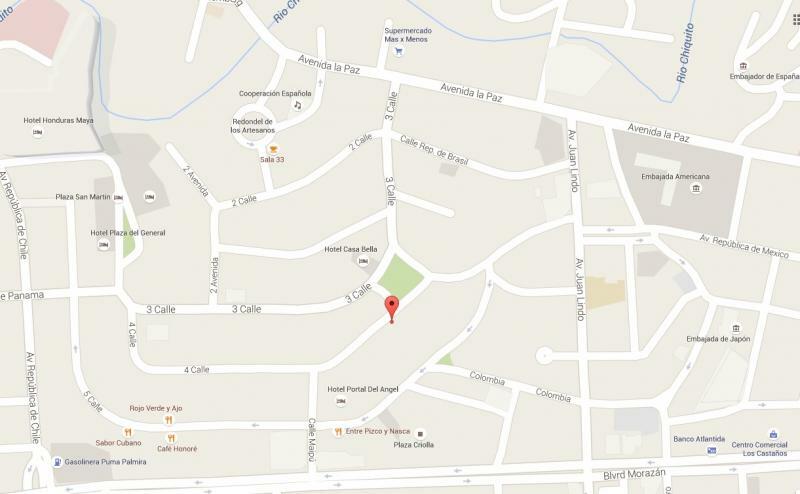 The hostel in Tegucigalpa is located in the best part of town.